Dubai has many amazing buildings ... see them in 2015! 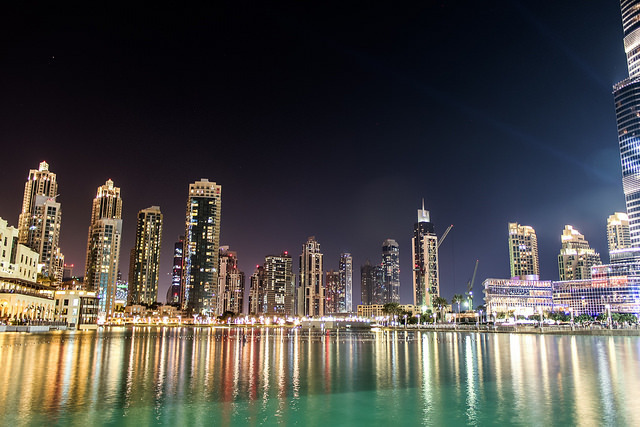 The rumors of Dubai’s demise after the 2008 global financial crisis have been greatly exaggerated, as many developers have shrugged off the few tough years that followed in its wake to continue the torrid pace of construction that existed in the 2000’s. As we enter 2015, a number of exciting structures are nearing completion, prompting real estate and infrastructure geeks to book hotels in Dubai to observe the renewed sense of exuberance that exists here again for themselves. If you are in this camp, be sure to check out the amazing buildings slated for Dubai which should be open at some point later this year, thereby reaffirming its place atop the rest of the Middle East. Aiming to be the world’s largest building shaped like an “M” (in their own words), MAG222 is just another example of the cutting edge modern design that is being employed in the construction of residential and commercial towers in Dubai these days. Outfitted with dark blue glass and with a pair of arches beneath which a palm-studded leisure area will be situated, MAG222 will combine luxury living with a distinctive presence in highly stylish Dubai skyline, creating the latest “it” place for foreign expats and Emiratis to call home. If viewing buildings that look like letters of the alphabet isn’t your cup of tea, then perhaps checking out the Royal Atlantis Resort will be of greater interest to you. Situated on the water, this development resembles a low wall of building blocks more than a traditional tower complex, with plenty of gaps above and beneath hotel rooms and residences where hang out spots exist, making this the perfect place to watch the sun rise over the Persian Gulf, or watch it sink into the Arabian Desert to the west. Closely resembling the world famous design of the Marina Bay Sands Hotel in Singapore, the forthcoming creation of The Address Residences will give Dubai a twin tower structure with a surfboard-esque platform on top, making this property one of the more eagerly anticipated ones on come on stream in several years. With over 500 serviced apartments and almost 200 luxury hotel rooms, tourists and expats alike will able to enjoy its magnificence and amenities, which include links to the Dubai Mall and Metro via air-conditioned elevator, a world-class restaurant sitting atop the skydeck, and an infinity pool that will give Dubai residents and visitors the chance to cool off and get a world class view at the same time.